Listen to a professional: LOCK YOUR DEADBOLT! LOCK YOUR DEADBOLT EVERY TIME. IT TAKES 2 SECONDS AND MAKES A BIG DIFFERENCE!!!! 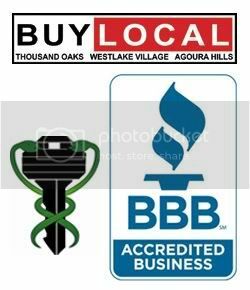 There have been more and more robberies and break ins in Thousand Oaks and surrounding areas recently. We know this because Brucar Locksmith has been called to rekey many of these homes and do a security check, after the fact. Time and time again we hear that the deadbolt was not locked. Listen, we live here too, and even though it is a relatively safe community, it is our duty to be proactive and use the tools we have to protect ourselves and our families. In this case, it is the simple turn of a deadbolt. 1. If you do not have a deadbolt on your door(s) leading to the outside please get one. We can advise on what you need and install for you. We guarantee excellent service and competitive pricing. 2. Have you given out a lot of spare keys over the years? Did you just move into a new home/condo? Please schedule an appointment to rekey your locks. You do not need to change the hardware, just a fresh new key that only you have. 3. Interested in knowing if your locks are easily broken into? Interested in higher security lock options? 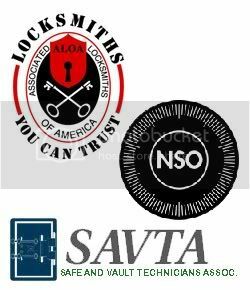 We are trained in MulTlock, Medeco, Schlage Primus and other high security lock options for your home or office. Just give a call to schedule an assessment. Thank you for reading and have a great, safe weekend and don’t forget to lock your deadbolt!! ← LOVE these unique keys! Very unique article, helpful and giving the readers idea to her/him security on their house. Keep it up! I completely agree, taking the time to lock your deadbolt before you leave the house and while you’re at home can help make you safer in your home. A deadbolt seems a lot more difficult to break into compared to other locks. Apart from deadbolting my door, what are some other things that I should know to make my locks more secure? I only have a deadbolt lock on my door, so it seems like I should have another type of lock installed, especially since there have been a few break-ins in my neighborhood recently. Hi Deanna, thank you for your comment. we would be happy to give suggestions about how to make your home more secure! High Security locks are the first thing that comes to my mind…. but first, please let me know, are you affiliated with Anderson Lock and Key? I only ask since the URL for your comment is from Anderson Lock and Key in AZ. We are always more than happy to give advice, I just want to be sure the comment is legit and not only to embed other companies information on our website.